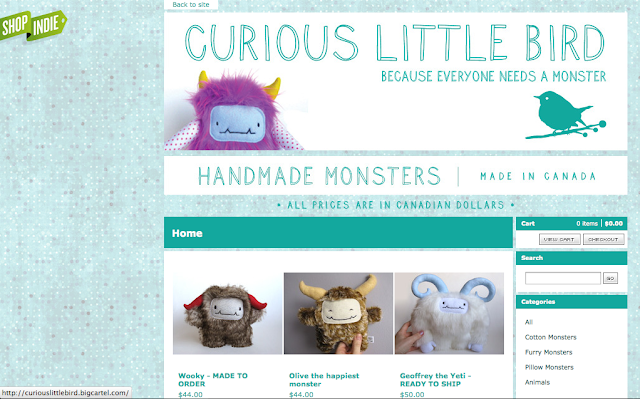 CURIOUS LITTLE BIRD: My New Store Is Ready! 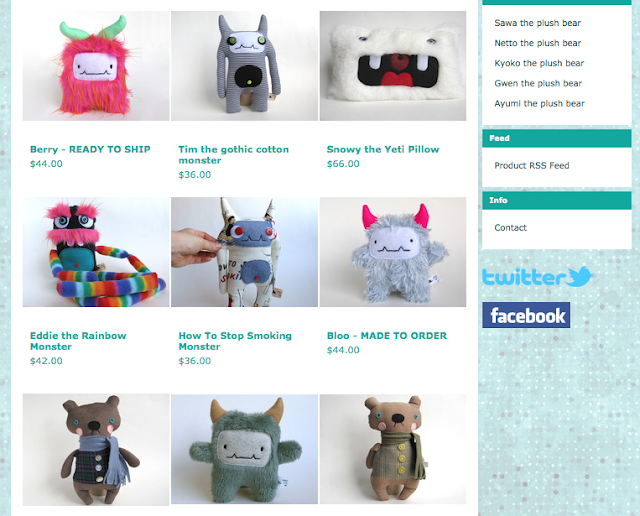 My New Store Is Ready! I know you've all heard me talking about Big Cartel, and how I wanted to make that my main store, right? Well I took the jump and upgraded to a Diamond site which gives me 100 items at the low price of $19.99. What I love about Big Cartel is the fact it's completely customizable! I've worked 8 long hours last night adding photos, a "Shop Indie" flag, Facebook and Twitter buttons so that everything on the web is connected. 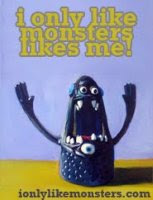 Now my blog, store, Facebook, and Twitter account all connect and have no connection to Etsy (unless I post a link). I'm really hoping to drive my business there. I'm still trying to figure that out, really. If I can get business to go to my new store before Christmas, I won't have to pay as many fees. The only fees Big Cartel charges are none! Only PayPal would charge me a fee, and I like that. You see that green flag that says "Shop Indie"? That helps to distinguish me from other stores, and tell the buyers I'm independent, not some corporate chain creating mass-produced products, and uninspired junk. I noticed on another person's shop they added a screen shot of the shipping costs, and I thought that was a good idea. Unlike Etsy, here you don't find out how much the shipping is until checkout time. I don't want any surprises, so I've added them as the 5th image. Pretty smart! 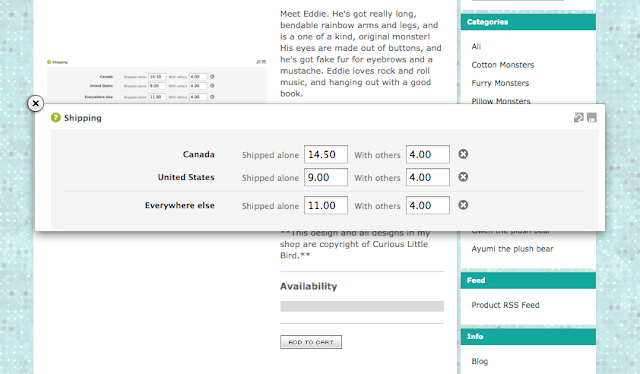 All shipping costs are the same, and accurate for their locations. Eventually I'd like to add a hyperlink bar at the top to make it more of a website, but I need a few days for that. Working on websites takes a lot of time. All the changes I just posted in this post took me 8 hours last night!! I started around 7 pm, and by the time I was sort of satisfied, it was 3 am. It's insane how time flies when I do web stuff. I think your shop looks lovely! I'm thinking of opening a shop there but I just don't know! !